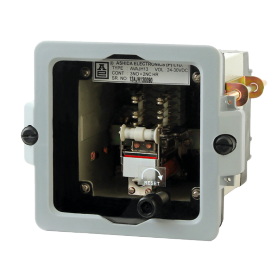 ASHIDA is a leading Indian manufacturer & supplier of complete range of Numerical, Static & Auxiliary Protection Relays. All Relays are thoroughly Type-Tested for their vital technical parameters & also for EMC/EMI as per International IEC - Test Specifications. 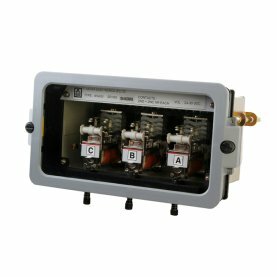 With 47 Years of experience Ashida offers Auxiliary Relays for all applications like; To multiply the contacts of Protection Relay. For Low burden sensitive relay. To give Alarm, Control, Indications and other auxiliary duties in AC and DC system. For High speed tripping duties. To serve as Master Trip Relay in C.B. Control Panels. For remote and automatic control. For Two stable conditions controlled by suitable mechanism. Suitable for CT/PT changeover where relay condition is independent of auxiliary supply. For illuminated window Annunciation scheme. AVAJC 11 – This change over relay is applicable for remote & automatic control. Two stable conditions controlled by suitable mechanism. This relay is suitable for CT/PT changeover where relay condition is independent of aux. supply. AVA 33 - This is VOLTAGE OPERATED AUXILIARY RELAYS (3 ELEMENTS) WITH HR CONTACTS is applicable for High speed tripping duties. This relay is applied to multiply the contacts of Protection Relay, low burden sensitive relay. AVAJH13 - HIGH SPEED MASTER TRIP RELAY WITH HR CONTACTS is applicable for High speed tripping duties. This relay is applied to multiply the contacts of Protection Relay, Low burden sensitive relay. This relay serves as Master Trip Relay in C. B. Control Panels. More than 1000000 Relays manufactured by Ashida are protecting key electrical installation all over the world.